Duplicate Email Remover is a smart app for Microsoft Outlook that provides all the features related with searching and processing of duplicated emails. Using this add-in, you can easily find duplicated email messages in a single or multiple Outlook folders and process them with various options: delete, mark with flag, copy or move to any other folders. 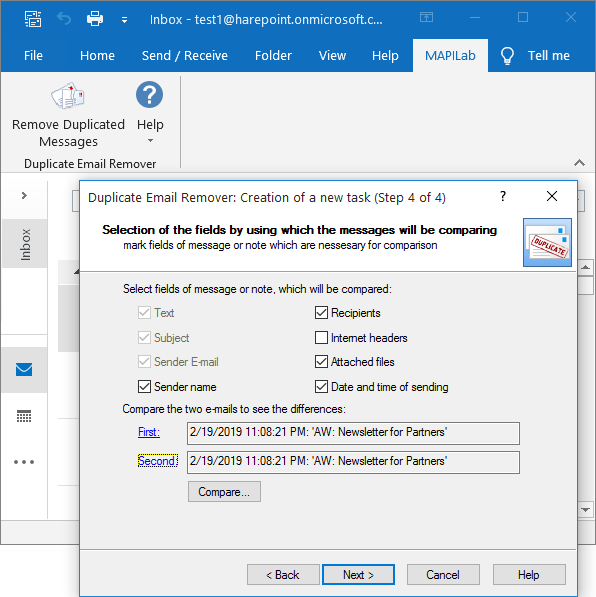 The presented version of Duplicate Email Remover is fully compatible with Microsoft Outlook 2019. There are also some other improvements and non-critical fixes which are listed on the software version history page. You are welcome to update the product on the Duplicates Email Remover homepage.